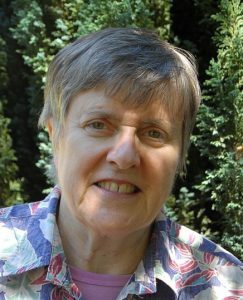 Kathleen Norris is the award-winning poet, writer, and author of The New York Times bestsellers The Cloister Walk, Acedia & Me: A Marriage, Monks, and a Writer’s Life, Dakota: A Spiritual Geography, Amazing Grace: A Vocabulary of Faith, and The Virgin of Bennington. Exploring the spiritual life, her work is at once intimate and historical, rich in poetry and meditations, brimming with exasperation and reverence, deeply grounded in both nature and spirit, sometimes funny, and often provocative. Widowed in 2003, Kathleen Norris now divides her time between South Dakota and Honolulu, Hawaii, where she volunteers at an Episcopal church. She travels to the mainland regularly to speak to students, medical professionals, social workers, and chaplains at colleges and universities, as well as seminaries, churches and teaching hospitals. For many years she was the poetry editor of Spirituality & Health magazine, and is currently an editorial advisor to Give Us This Day.